About last night. How long did it take you to drift off, and how much undisturbed sleep did you get? The virtues of a full night’s sleep have been extolled by experts for years, not least for the fact eight hours of shut-eye leaves us energised for the day ahead, but increasingly for the direct correlation between poor sleep and appearance. 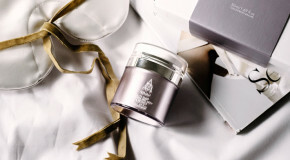 And so, sleep (or our increasing lack of it) is becoming a bit of an obsession in the beauty world, with products constantly launching to maximise the few hours that we do get. More often than not I find myself tumbling into bed in the small hours with my mind abuzz with plans and ideas; needless to say, sleep does not come easily. My increasingly hectic lifestyle also means that I have little time for any extra-curricular haircare beyond a little styling cream or the occasional hair mask, so any addition to my hair routine that affords maximum results with minimal input required is bound to be a winner. 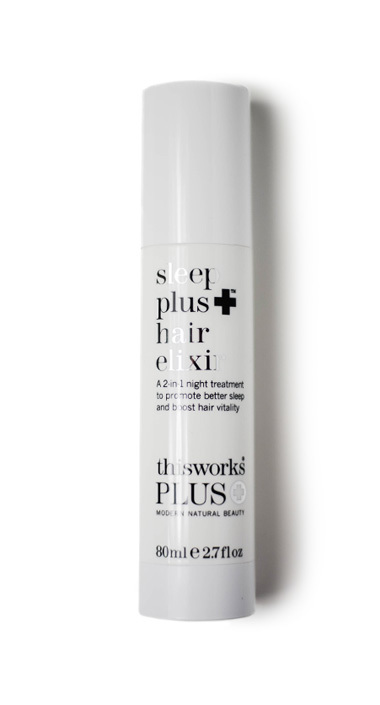 Luckily, This Works has the answer to all of my hair and sleep-related woes. While they are best known for their Pillow Spray (a potent concoction of lavender, chamomile, and vetivert) clinically proven to incite better quality sleep. 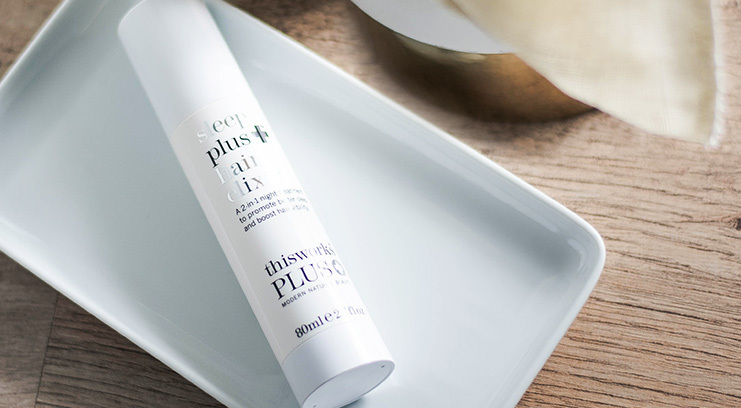 the brand also has an excellent range of hair and body care products designed to encourage a deep, undisturbed sleep, My favourite by far is the Sleep Plus Hair Elixir, a 2-in-1 treatment designed to aid sleep whilst simultaneously leaving hair healthy and manageable upon waking. 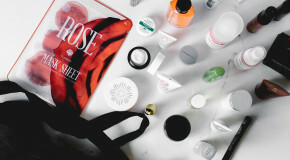 I love nothing more than a multi-tasking beauty product. The Hair Elixir contains the same concentration of essential oils as the original Pillow Spray; but use it before you go to sleep and you’ll notice the difference in more ways than one. The heady concoction utilises argan, baobab, and jojoba oils to rejuvenate and condition dry tresses, whilst sunflower oil and Vitamin E nourish hair at a cellular level for long-lasting softness and glossiness. Most brilliant of all is the product’s motion-activated formula, which ensures that the sleep-inducing aroma is released with every toss and turn. If I’m in a rush but my hair’s not playing ball, I still want it to at least have a little pieceiness and volume, and this gives it just that. 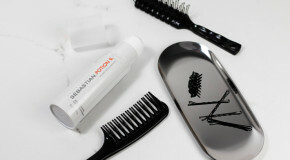 Rather than quell the ever-covetable texture of bed hair, it simply tones down the frizz caused by pillow friction, leaving my hair gently tousled but free from flyaways. The non-greasy mist is satisfyingly lightweight, without any of the build-up, slipperiness, or weight that I loathe in most hair products. I spritz a generous dose through my hair post-brushing and immediately before going to bed. It leaves my hair scented with a herbal-y aroma that lingers into the morning for a burst of refreshment in the face of my morning commute.